When you want a new smile but are wary of the porcelain veneer treatment process, consider Lumineers. An effective and minimally invasive solution, Lumineers are just as versatile, strong, and beautiful as porcelain veneers. Under the skilled hands of Dr. Chi Fu at Chester Hill Dentistry, your teeth can be transformed into a flawless, five-star smile. Lumineers are made of incredibly thin Cerinate porcelain. The Lumineers look like ultra-thin shields – as thin as contact lenses – and are digitally customized for your smile. 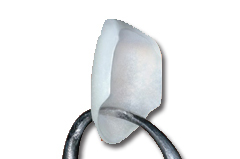 Durable and strong, Lumineers can withstand heat, cold, pressure, and all the normal things that natural teeth endure. The Lumineers application process usually takes two visits to your Westchester dentist’s office, usually about three weeks apart. The first visit involves preparation like taking impressions of your teeth, then sending this information, photos, and any other necessary dental information to the Lumineers lab that will be creating your personalized Lumineers. At the second visit to your cosmetic dentist, your veneers will be temporarily put in place to determine whether the size, color, and shape of the Lumineers are just right. If all is well, the Lumineers are permanently bonded to the front of your teeth. How Are Lumineers Different Than Veneers? Lumineers and porcelain veneers are very similar cosmetic dentistry treatments that offer comparable results. The biggest difference comes in the preparation of your natural teeth for receipt of the Lumineers. While veneers require that tooth enamel be drilled away to make room for the covering that will be put over your teeth, Lumineers require little more than a thorough cleaning and maybe a little gentle sanding. Natural teeth are barely altered and there is no significant loss of tooth enamel – this also means that while you’re waiting for your Lumineers to be made, you can go about your days without having to wear unsightly acrylic temporary veneers. Sensitive or anxious dental patients are grateful for a cosmetic dentistry treatment that enables them to get the smile makeover they want without having to endure shots, needles, or drills. Are You a Good Candidate for Lumineers? If your overall oral health is in good condition, and your Westchester dentist determines that you are an ideal candidate for Lumineers, there is no reason for you to drag your feet about remaking your smile into a form that makes you feel confident and good-looking. Lumineers are incredibly thin, however, they differ from veneers in their composition. 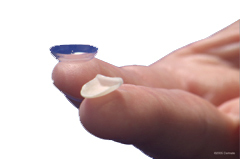 When added to the front surface of the tooth, Lumineers can sometimes appear bulky. While you may enjoy the bump-out of your teeth because it makes your lips look more plump, some patients could look unnatural with this cosmetic dentistry option. Your Rye dentist will be able to guide you to the cosmetic dentistry treatment that will be most flattering to your appearance. He will only recommend procedures that will give you an amazing new smile. One of the most integral parts of a smile made with Lumineers is actually the translucency of the veneers. Color is important, of course, but the way the shields reflect light is also critical. Without a level of translucency, teeth could end up looking flat and, worst of all, fake. The color of your natural teeth under the Lumineers can impact the final color of the veneers as well – this is just one more ingredient that needs to be taken into consideration during the planning and customization part of your smile makeover. Guaranteed for five years against chipping, breaking, and separating from the tooth. Can be placed over old crowns or bridgework. Can last up to 25 years with proper care. If you are ready to transform your smile, contact our Chester Hill Dentistry office and make an appointment with Dr. Fu to discuss Lumineers and other cosmetic dentistry options. We serve the residents of Rye, Westchester, Port Chester, Rye Brook, and surrounding areas, including Greenwich, CT.